I would first off like to thank www.reddit.com/r/JapanTravel for their help and advice for people that want to travel to Japan. Thursday, March 30th – Arrive at 3:30 pm Narita Airport in Japan. Pick up 7 Day Japan Rail Pass, Buy Pasmo/Suica card, head to AirBnB. Friday, March 31st – Visit Ueno district in Tokyo. Check out National Museum of Nature and Science, Tokyo National Museum and Ueno Zoo. Saturday, April 1st – Visit Nikko. Go to Tobu’s Asakusa Station Office(Ginza Line) to buy All Day Nikko Pass, Visit Toshogu Shrine and check out nature area’s like Chuzenji and Kegon Fall. Sunday, April 2nd – Visit Oedo Antique Market at 9 am. After 2 hours head to Akihabara and spend most of the day here, maybe check out Harajuku too. 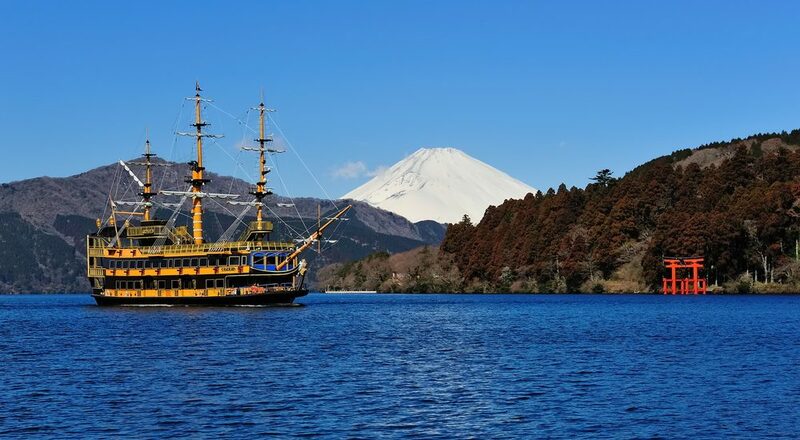 Monday, April 3rd – Buy 2 Day Hakone Free pass from Odakyu Office in Shinjuku Station, head to Hakone to see Mt Fuji. Stay at the ryokan, Mount View Hakone. Tuesday, April 4th – After finishing up Hakone time to head back to Tokyo and explore Odaiba. Wednesday, April 5th – Activate 7 Day Japan Rail Pass and head to Yokohama. Visit Hakkejima Island, try Semplice Restaurant or visit China Town. Return to Tokyo. Thursday, April 6th – Free Day, explore Tokyo and maybe visit Meiji Shrine, Sensoji Temple or Nakano Broadway. Friday, April 7th – Head to Kyoto as early as possible(Trains to Kyoto start at 5 am.) Visit Fushimi-Inari-Taisha, Kiyomizu-Dera, Kinaku-Ji and if any time is left explore Kyoto before checking into Centurion Cabin & Spa Kyoto. Saturday, April 8th – Visit Tenryu-Ji, Arashiyama Bamboo Grove and maybe Okochi Sanso. Head to Osaka and check out Umeda Sky Building, Dotonbori, and DenDen Town. Check into J-Hoppers Osaka Universal. Sunday, April 9th – Travel to Himeji. Visit Himeji Castle and see Mt Shosha. Return to Osaka and explore what we weren’t able to get to the other day. Leave Osaka for Tokyo by 8 pm. Monday, April 10th – Free Day. Tuesday, April 11th – Free Day. Wednesday, April 12th – Free Day. Thursday, April 13th – Pack up and prepare to leave Japan. I had 2 main goals when I made my Japan Itinerary. The first goal was to make sure I hit all the major points of interest my group wanted to see and the 2nd was I wanted to have it be flexible but targeted enough to get things done. While we will be arriving at 3:30 pm on the first day I wanted to take into account jet lag so I really have nothing planned for that day and the next day I wanted to start our trip off with an easy day to ease into the trip. My original Japan Itinerary involved a $230 per a person tour with Japanican but I realized that the place the tour would take you through was Hakone and that the $50 2 Day Hakone Pass would cover everything on the tour and so I decided to do that instead. One of the reasons why I have 3 free days at the end of the trip is so that we can revisit places we wanted to go back to or even just explore Japan for cheap since the Japan Rail Pass will still be active at this time. It also gives us a rescheduling chance in case things go wrong. Time to get into the nitty-gritty details aka money. I did not include any food expenses in this budget, realistically it should at most be around $50 a day per a person. Pasmo or Suica IC Card – $135, 7 Day JR Rail Pass – $268, 2 Day Hakone Pass – $50, All Day Nikko Pass – $44, Kyoto 1 Day Bus Pass -$5. There you have it, the basic Japan Itinerary and budget for my trip to Japan. Some of these are high estimates like the $135 for the IC cards and the $150 for attractions but I decided to include them in the basic budget. In my earlier posts, I speculated that the total budget would be around $4000 overall for going to Japan and it looks like I will be hitting that estimate. Technically I would have come in way under my estimate if my vacation buddies hadn’t wanted to travel to Kyoto or Osaka. Airplane tickets + Airbnb + IC Card only equal a very cheap $982. Next time on the internet otaku I will be talking about my shopping addiction that this Japan Trip has spawned.